Johnny & Rene met during an evening out with friends. After a good night at Habano’s in Regina, Johnny noticed Rene standing outside with her friends. As we all know, girls travel in herds, so he waited for the herd to thin a little before making his move. He went up to Rene and asked her, “Do you know how much a polar bear weighs?” As this is not a standard fact most people know, Rene responded that she didn’t. Johnny then said, “Enough to break the ice,” and introduced himself to her. How cute is that?! Needless to say things went well after Johnny’s very cool introduction, and they found themselves on their first, second, sixth, fifteenth date. On one of those dates, Johnny & Rene went to the Queen City Ex and decided to try their luck at a midway game. They bought $5 in tickets, which gave them 3 throws, knowing full well that they would most likely not win anything. On his first try, Johnny tossed his ring around a bottle, winning a HUGE polar bear for Rene. 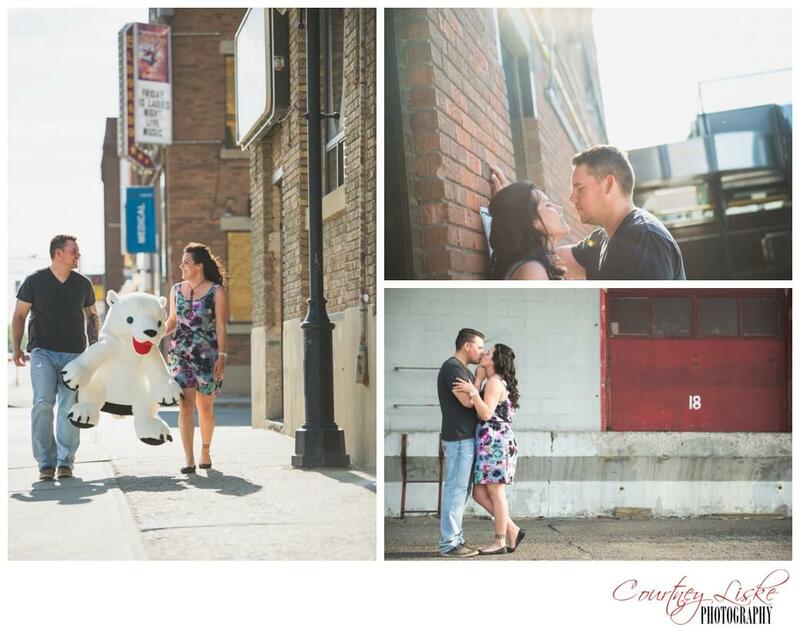 I think it is pretty clear that the polar bear shows some significance in Johnny & Rene’s relationship! I had the opportunity to spend a wonderful Sunday evening with Johnny & Rene, basking in the beautiful light as we tried our hardest not to let the wind blow us away. 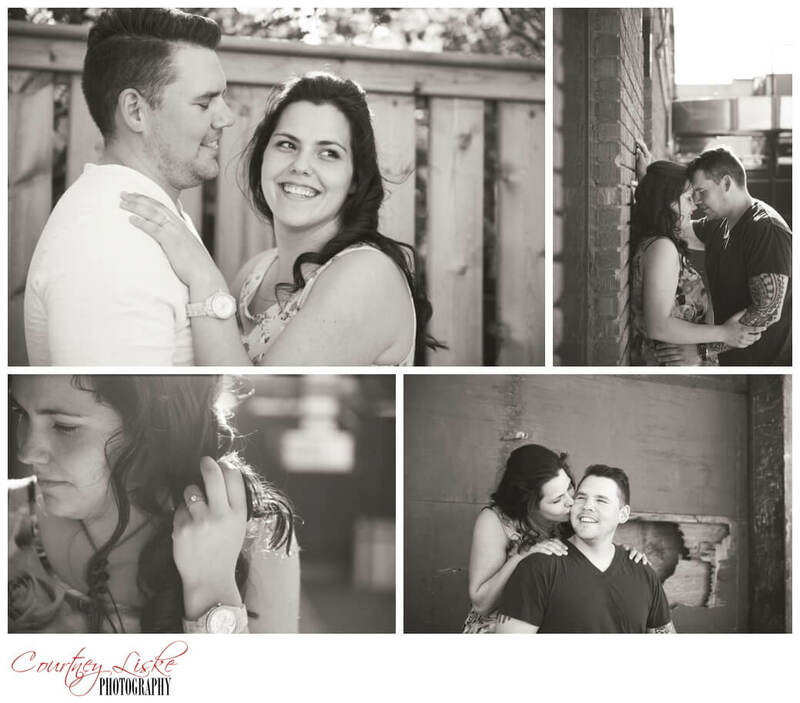 Johnny & Rene, the love that you share is so evident in the way you look at one another, and in hearing your stories of how you met and the proposal, it is very clear that you are meant for each other! Thanks, Johnny & Rene, for allowing Courtney Liske Photography to capture this special moment in your lives. We cannot wait to celebrate your wedding coming up in August!